British photographers Jonathan Anderson and Edwin Low have created a highly original art project based on the brilliant artifice of the spectacular sets from the latest James Bond movie, Spectre. Shooting entirely at Pinewood Studios in UK, the artist duo highlights a head-on collision of fantasy and reality by photographing the sets' massive scale and extraordinary detail. Allowing the bare soundstage to intrude on the images would normally shatter the illusion of the sets. In this case, however, it has the reverse effect and enhances the sense of illusion, artifice and wonder. Through a poetic and painterly eye, the beautifully designed and magnificently photographed images bring to life these detailed and massive tableaux, creating a poetry and narrative fantasy that mirrors the movie. 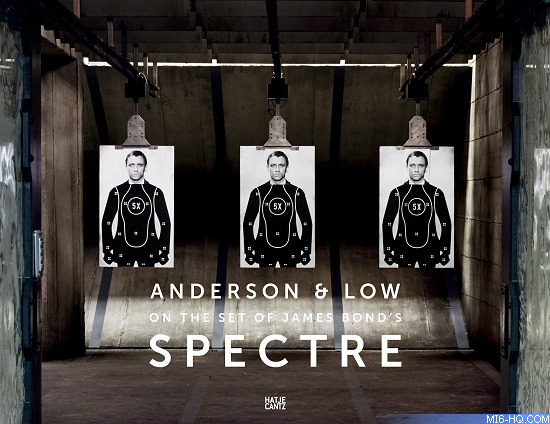 With a foreword by Spectre director Sam Mendes, this book represents a unique study in movie-making and constructed narrative in photography.